The 9/10 score is right in line with the praise the game’s been getting across a variety of outlets. OpenCritic puts the game’s aggregate score at 90 since the game’s launch in January, and Metacritic puts a selection of recent PC reviews at the same 90 point score. Check out a handful of those PC reviews below. It seems Monster Hunter: World hasn’t lost its charm even months after its original release, and though the improvements to the PC version are subtle they make it an excellent way to play the game – either again or for the first time. 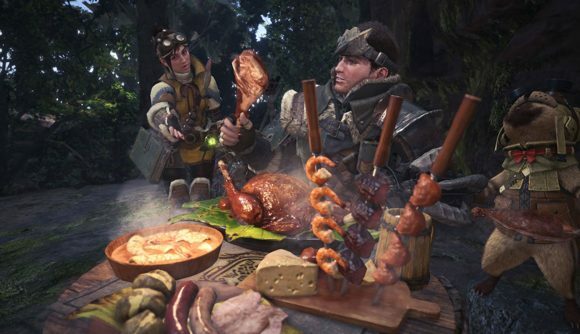 If you need some more nitty-gritty tech details, check out our Monster Hunter: World PC performance review, and if you need help getting started you’ll want to take a look at our Monster Hunter: World beginner’s guide. The PC version is scheduled to launch tomorrow, August 9.